We were thinking of Robin Hood when we named this portal Travon, Latin for ‘thief’. 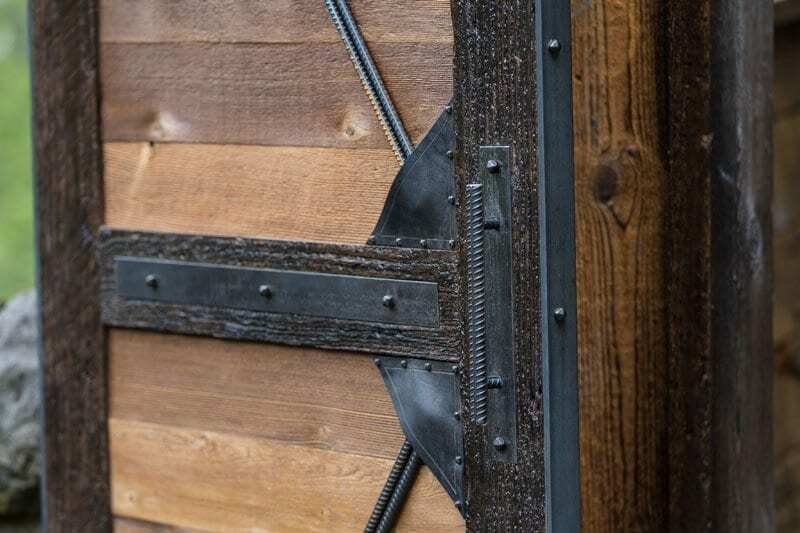 As with the Kingston, this door is evocative of an earlier time, a time of leather pouches, metal arrows and the need for a good sturdy door to keep home and hearth safe. 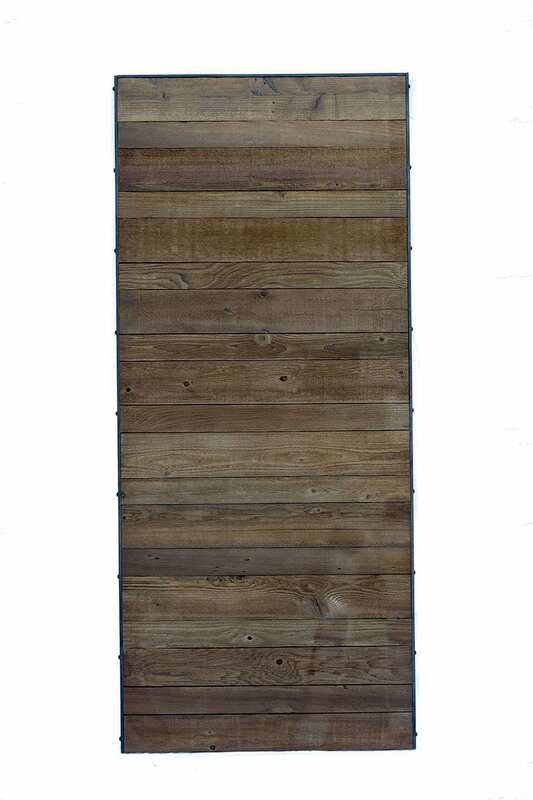 The Travon is constructed using rough-sawn barn wood stiles and rails framing tongue-in-groove, up-cycled raw cedar planks. 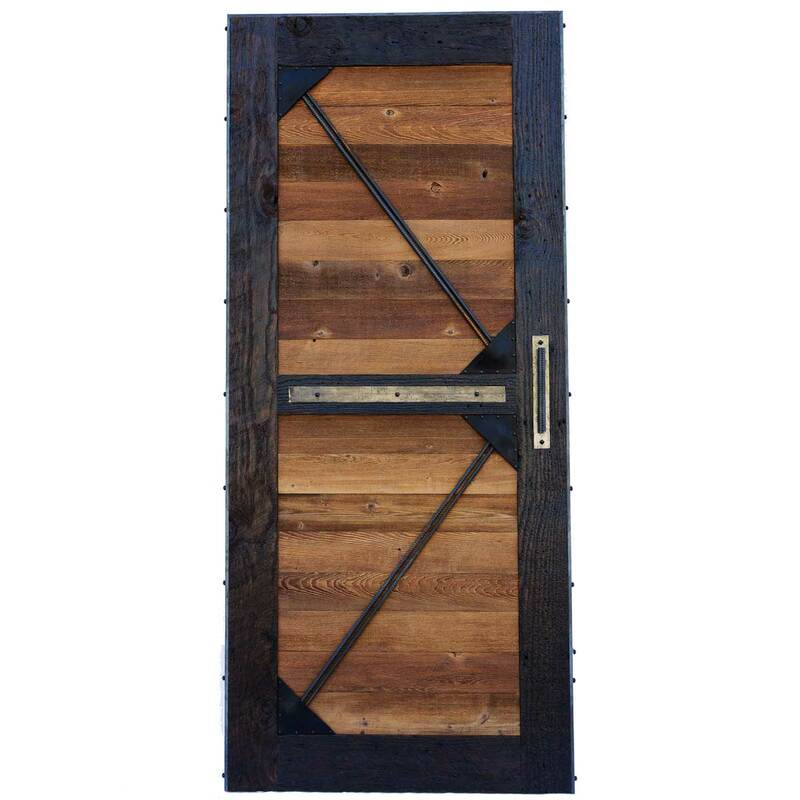 The cedar planks on the face of the door are visually divided in half by a plank of rough-sawn barn wood inset with a steel band and into triangular quarters by two lengths of steel rebar whose ends are seated in leather pouches. 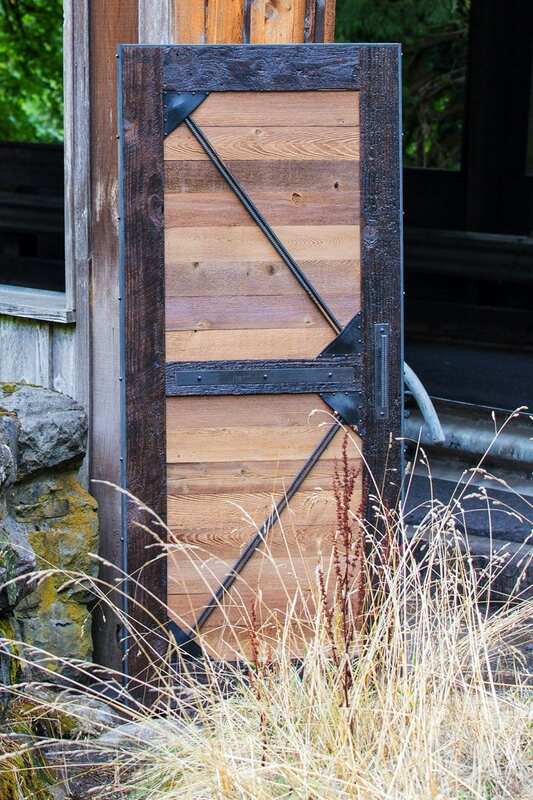 Studded with pyramid head screws, this steel-framed portal’s back is tongue-in-groove raw cedar planks. Like the Kingston, the Travon turns your home into your castle.